I hope you can all join us to celebrate the upcoming holidays! 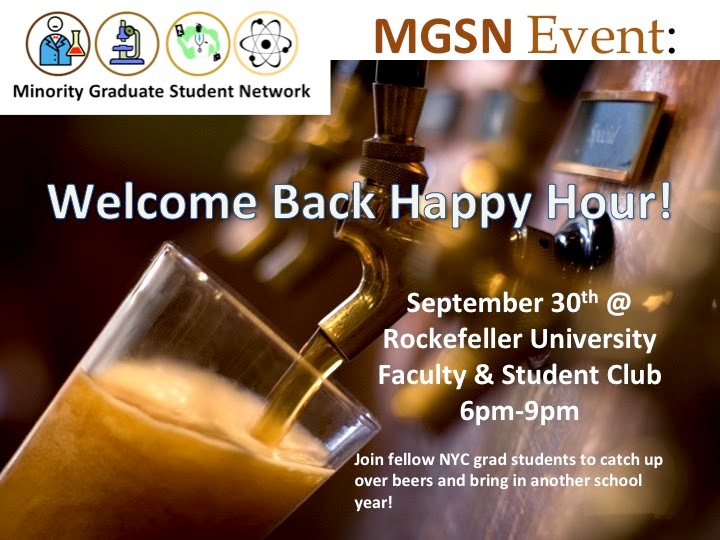 MGSN would like to invite you to a Happy Hour at Rockefeller University's pub. Come mingle and connect with fellow grad students from various NYC institutions for a night of socializing with free food and drinks! Thinking about your future career? Whether it be inside or outside of academia, it is never too early (or too late!) to brush up on your interviewing skills. Learn the art of self-presentation directly from HR and recruitment managers at Elsevier in this FREE opportunity open to MGSN members.